On 10 April 1968, during an exceptional storm, the inter-island ferry Wahine struck Barrett Reef in Wellington Harbour and capsized. 51 people died. On the morning of 10 April 1968, Cyclone Giselle hit Wellington at the same time as another storm which had driven up the West Coast of the South Island from Antarctica. The two storms met over the capital city, creating a single storm just as the inter-island ferry Wahine was crossing Cook Strait. 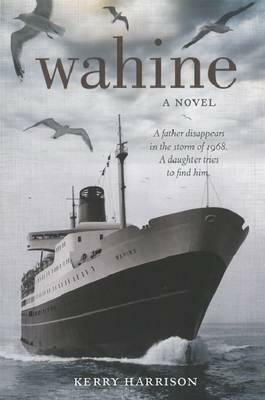 The Wahine had left Lyttelton at 8:40 pm the night before, carrying 610 passengers and 123 crew. There had been storm warnings, but nothing to say that this storm would be any worse than other winds in the Strait, which was well-known for its rough seas. The ferry travelled up the east coast of the South Island and headed for Wellington Harbour. By now the winds were gusting at between 130 and 150 kilometres per hour. At 5:50 am on the morning of 10 April the captain of the Wahine, Captain Hector Robertson decided to enter the harbour. Twenty minutes later the ferry was alongside Pencarrow Head. The winds had increased to 160 kilometres per hour, and those on board could only see for a distance of 800 metres. On board the Wahine the radar system was no longer working. A huge wave pushed the Wahine off course and in line with Barrett Reef, and the captain was unable to turn back on course. The force of another massive wave threw him across the bridge of the ship. He decided to keep turning the ferry and try to bring the Wahine around and back out to sea again. For 30 minutes the Wahine fought the waves, but by 6:40 am had been driven back onto the rocks of Barrett Reef. Most of the passengers did not realise that the ferry had struck rocks because they could tell little difference between that impact and the battering the ship was receiving. Captain Robertson ordered the closing of all watertight doors and dropped both anchors when he learnt that none of the engines was working. Passengers were told that the ferry was aground on the reef, and to put on their lifejackets and report to their assembly points around the ship. The accident was reported to the signal station at Beacon Hill, just above Point Dorset, and the crew prepared the life-saving equipment. Flooding was reported in four compartments and the vehicle deck, which could affect the stability of the ship. As the intensity and power of the storm grew, the winds increased, and the Wahine dragged its anchors. At this stage the weather was so bad that no help could be given from the harbour or the shore. Gradually the Wahine drifted further down the harbour, until she was just by Steeple Rock, off Point Dorset. By now a tug had set off from Queens Wharf to try and reach the Wahine. At about 11:00am, a line from the tug was used to try and tow the ferry, but the line gave way. Other attempts failed, but the deputy harbourmaster managed to climb aboard the Wahine from the pilot launch which had also reached the scene. At about 1:15pm the combined effect of the tide and the storm swung the Wahine round so that there was a patch of clear water sheltered from the wind and the sea on the starboard side. This was on the side towards which the ferry was leaning more and more. Captain Robertson had not considered abandoning the ship earlier because he felt it was safer for the passengers to remain on board, given the storm conditions. But now the order was given to abandon ship. Passengers, not told before how serious the situation was, were now confused and frightened. People slid across the sloping deck, trying to make their way to the lifeboats. Only the four starboard lifeboats could be launched, and crewmen tried to get as many people as possible onto them. One lifeboat was swamped when it hit the water and people were lost into the sea. Some managed to hold onto the boat as it drifted across the harbour to the eastern shore. Other boats were also swamped but many of the passengers were able to reach the small rescue boats which by now were surrounding the Wahine. Some people tried to make their own way ashore, jumping from the Wahine’s decks. Others reached the inflatable life rafts which had been thrown overboard, but several of these were punctured in the wreckage. The waves of the sea were still battering the ferry, and people in the water struggled to keep hold of wreckage or the sides of the lifeboats. The captain and deputy harbour master were the last to leave after checking that no one remained on the ferry. They were in the water just by the wreck for an hour before being rescued. At about 2:30 pm the Wahine rolled completely onto her side. By then the first of the survivors were reaching the shore at Seatoun. Rescuers there helped the passengers ashore, not realising the extent of the disaster. 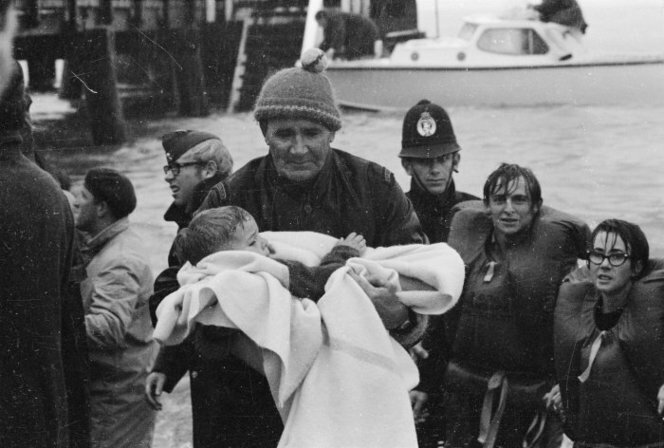 Other survivors drifted across the harbour to Eastbourne, where over 200 survivors eventually landed. The road to Eastbourne had been blocked by a slip, and rescue teams were delayed in reaching the coast, but were there in time for the flood of people who struggled through the surf to safety. 51 people died in the disaster, most of them middle-aged or elderly. Some were drowned or died of exposure. Others were thrown against the rocks by the surf on the eastern shore and died then. 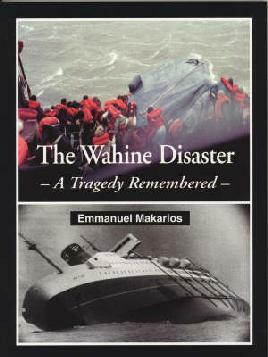 A court of inquiry was held 10 weeks after the sinking of the Wahine. The report found errors of judgement had been made on board the ferry and on the shore, but stressed that the conditions at the time had been difficult and dangerous. The main cause of the Wahine’s sinking was that the ship went off course in one of the worst storms in New Zealand’s recorded history, and as s result went out of control and struck Barrett Reef. The build-up of water in the vehicle hold was the reason the ferry finally capsized. However the report of the inquiry stated that more lives would almost certainly have been lost if the order to abandon ship had been given earlier or later. The storm was so strong that rescue craft would not have been able to safely help the passengers from the ferry any earlier than about 12:30pm. Attempts were made to salvage the Wahine, but later storms broke up the wreck of the ship. A propeller and plaque marks the disaster at Seatoun. 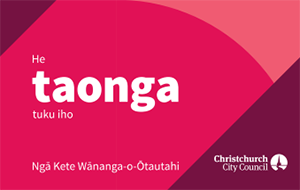 Ngā Taonga Sound & Vision has audio reports of the Wahine disaster. This recording contains radio news coverage of the sinking of the Lyttelton–Wellington ferry 'Wahine' on 10 April 1968. It was filed on the evening of the disaster and contains a detailed description of the cause of the disaster, the death toll and the search and rescue scene.